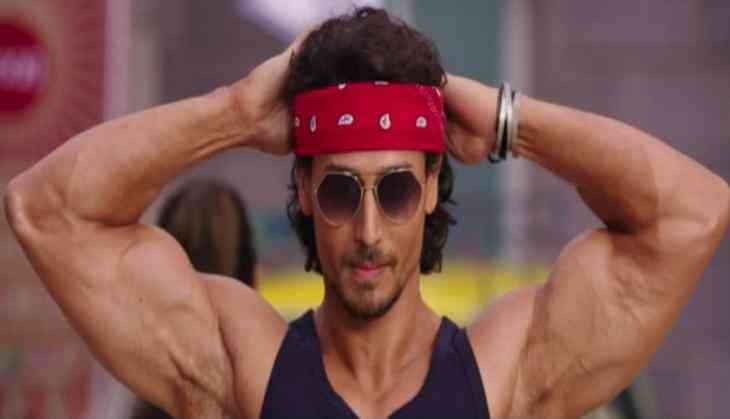 A fresh track from Tiger Shroff's upcoming film 'Munna Michael' is out in which the actor romances Nidhi Agerwal in some exotic locales. Titled 'Pyar Ho', it is the third song the makers have released after ' Ding Dang' and ' Main Hoon'. The song is crooned by Vishal Mishra and Sunidhi Chauhan and the lyrics are penned by Kumaar. The 'Heropanti' star took to Twitter to share the number and wrote alongside, "Sending you all the LOVE this season #PyarHo OUT NOW on @Erosnow! And watch it on Youtube at 2pm! http://bit.ly/2ugCzWU"
Directed by Sabbir Khan, the flick also stars Nawazuddin Siddiqui in a never-seen-before avatar. The film is slated to release on July 21.